I recently led a 7-day clean eating group, and I was trying to come up with some ideas for clean meals that are "faster than fast food" for my participants. That eliminates a few of the top excuses for not eating healthy, no? I am always tempted to reach for convenience food when I come home starving and it's way to easy to say that clean eating is way too involved. So, coming up with a few super easy, super fast recipes is my fall back plan so I don't blow it. I'd like to share these with you too! #1. I saw this meal on a website where they asked top nutritionists what they eat on the run. If a nutritionist is eating it, I don't mind if I do too! #2. 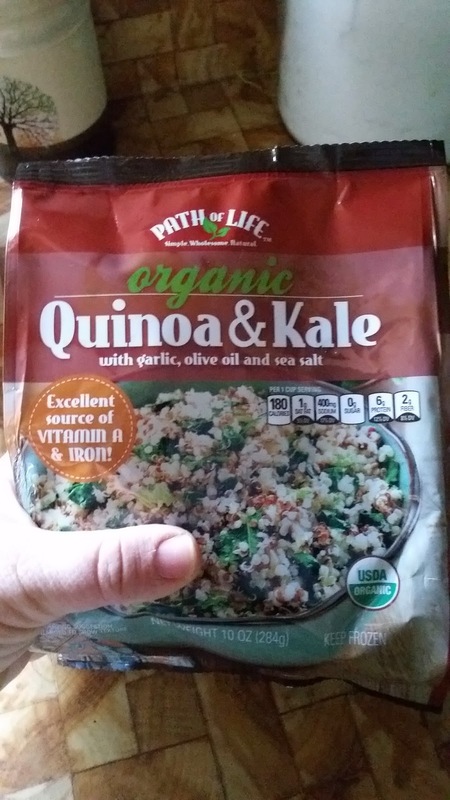 I happened to find this super healthy, organic meal mix at Walmart, right by the frozen Steamer veggies. 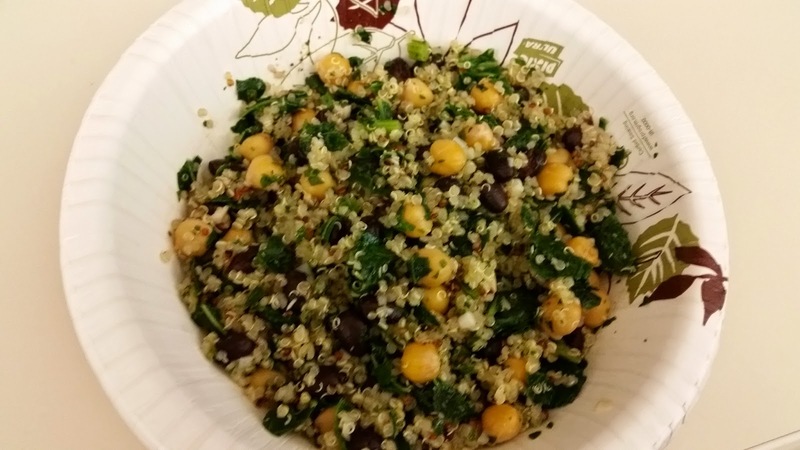 It's a kale, quinoa, feta mix that has an incredible amount of flavor and it's very nutrient dense. 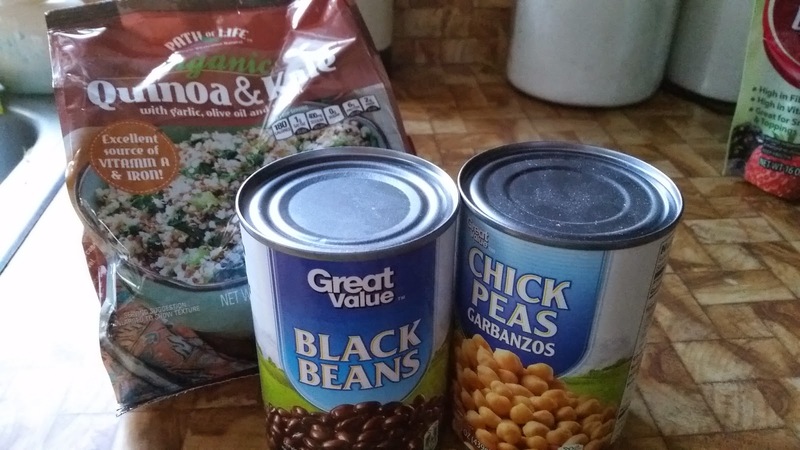 I just added a can of black beans and a can of chickpeas for extra bulk with two bags of this, and I had lunch for the week! Mini pizzas: mozzarella, tomato or tomato sauce, mushrooms, and onion on an English muffin, heated in the oven. Grown up grilled cheese: lean cheese and a pile of sauteed veggies (onion, pepper, zucchini, etc) on toast. Do you have any fall-back recipes for clean eating on-the-run?